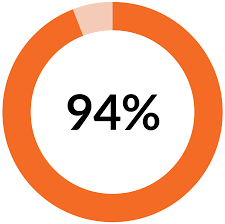 The 94% Rule is an absolute game-changer for leaders and managers—at least those who want to be maximally effective. Coined by W. Edwards Deming, the greatest quality and systems guru ever, the Rule states: 94% of the results we experience in the workplace, both good or poor, are a function of the systems and processes in which people work, not the efforts of people. How many leaders and managers know this? Not many. If we want better results and companies, we have to optimize our systems. Instead, most leaders and managers have been taught that good leadership or management is about managing people. We try to get people to behave in a way we believe will improve performance and solve problems. We work hard at managing the 6%. I hear often that the name of the game for leaders and managers is to have good people. Of course we want the best people. But even the best people have little chance of overcoming poor systems and processes. In fact, we see that even with good people, bad systems always win. Think how the 94% Rule changes what we’ve been taught about good leadership and management. I’m not saying the good leaders shouldn’t be servant leaders with high EQs. One of my New Agreements for Leaders is: Grow and Serve Your People. But if a leader or manager doesn’t know how to set up his or her people for success (good systems), people skills go on to the back burner behind the 94% Rule. In fact, I might go a step further in saying that. if the only skill a leader or manager has is the ability to set up his or her people for success, that’s probably good leadership and management. 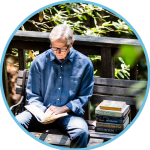 If you want to dive into the right side of the 94% Rule, we have developed seven Tools that have proved quite effective in fixing systems, relieving stress on people, and significantly improving outcomes—all baked into the process. These Tools are all systems-based, which gets you quickly to the core issues holding you, your people and your company back.